After defeating Lance and the rest of the Elite Four, Professor Oak will arrive and mention to your trainer that there is yet one last trainer you must face in order to become the next Champion of the Kanto Region. 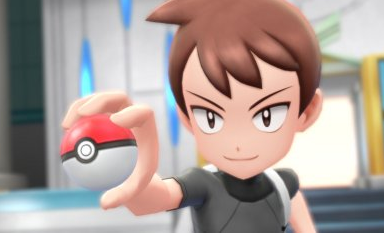 Much like the original First Generation Pokemon Games, your Rival will have recently defeated Lance to become the present Champion. You must now defeat your Rival yet again, this time for the greatest of prizes. Having faced him throughout your journey, you should know by now that your Rival has a very balanced team full of Pokemon of many different types. For this battle, he will have six Pokemon that are all at Level 56, outside of his Electric Type Pokemon that will be at Level 57. In all, he will battle using Pidgeot (who will Mega Evolve), Vileplume, Marowak, Rapidash, Slowbro and Raichu. Since your Rival doesn't use any one specific type of Pokemon, you will need a balanced team of your own in order to defeat him. A Water Type Pokemon will come in handy against his Marowak and Rapidash, while an Electric Type Pokemon will have the upper hand against both his Slowbro and Mega Pidgeot. As for Vileplume, a Flying Type or Fire Type is recommend since they can do the most damage to it. And finally, a Ground Type Pokemon should have its way against Raichu since it is especially weak to Ground Type Attacks and because its Electric Type Moves are useless against Ground Types.